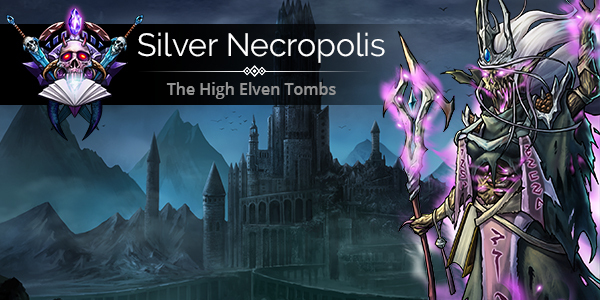 Despite sharing the same stats as Fang Moor, Silver Necropolis also got 2 Potential Treasure Rooms, which make its average Multiplier a little bit higher. So… Silver Necropolis is now the best Farming Factions. 5.05 max Multiplier is actually not possible though, as you can’t have 2 Legendary Treasure Room as the same time yet. If anyone ever got that mythical 4.95 total Multiplier, please share! Also… Portrait/Emoji as an incentives to buy more Tiers? That’s devilishly clever! I don’t even use any of those, yet I really consider getting them for being completionist and not missing out. Damn it! The potions boost is useful for sure and a clear attempt to get us all throwing gems, cash and gold at the event in the quest for the level 500 faction troop victory achievement and associated renown. This obviously is limited to the event specifically so its a tempting proposition for some and I am sure the leaderboard will reflect that. A lot of us will be broke by Monday reset no doubt; whether we get the achievement and Max pet or not. A resource and cash draining masterstroke. Kerching. LT output is sure to take a significant hit from now on as players save gold for forthcoming factions. I actually don’t know. This first one might see an influx of players as people like Tacet who normally wouldn’t bother will get curious and try it. I think it may normalize back to the 12-15 players who do up to 500 on a weekend event. Reaching 500 was never that hard anyways for the upper end as long as High King Irongut existed. Will potions help with the 500 faction troop victory here? Probably. Will it help all factions? … I don’t know. I can’t really see it helping 5 room non-sense like The Warrens or Fang Moor. More than anything, I see adding new emojis, titles, or portraits will push the extra gems out of players that are already buying tier 3/4 each week and see one more tier gets them stuff and that they might as well buy another. Is it really? I’m getting nice multipliers but my chest levels have been quite low. I feel like I’m in Crypt Keepers all over again. 0 legendary from 4000+ shards, wth?! Is it really? I’m getting nice multipliers but my chest levels have been quite low. Without a doubt. With Hoard Level 100, SN’s 7.34 average Chest Level is better than CK’s 7.00. It all still depending on luck, but SN still have 4.12, highest average Multiplier, so at least you have that to rely on. Will potions help with the 500 faction troop victory here? Here with Deathmark and summoning? Definitely. You’re right though. It won’t help all Factions. Some that need some boosts will now be easier; HoG,ASE. While some is still pretty hopeless, like SoS. I agree with that. This will surely increase gem spending. Free players which got tributes as their main gems income won’t be able to get all these social stuffs, so it might even make them consider making some purchases. Well the entire faction team is immune to Death Mark naturally. Sea of Sorrow will be one of the best uses of Potions as it lacks damage output which the Potions can fix. Is anyone else getting the incorrect icon for Silver Necropolis? On my device it’s using The Warrens icon. Yeah the deathmark immunity goes beyond the faction troops within the event, which is disappointing. The team also lacks synergy; I’ve just done level 100 with faction team in standard daily delve and its certainly uninspiring. 500 without potions and a significant horde Level looks problematic, making the events your best option if you really aim to Max all pets. The expense to tackle this I expect will be high and the need to farm shards to boost horde level well above 100 is a time commitment I simply cannot undertake. I really think events like this need to be shortened timewise, whilst maintaining the expense/reward ratio as it currently stands. @idle, do you have the numbers regarding resources to get horde to 200? From 100+: if you’re using Coin Purse or Gold Rings, RIP your gold. From 150+: King’s Crown at 100 XP for 3 treasures for 2 levels while on paper good, hurts for gold. The short answer is it wildly varies depending on how much Genie’s Lamp and Sacred Treasure you have and when you start pumping it in and how much of it you have/can afford. I noticed this beaut added to the UItra Rare room options. This one is going to impact on faction efforts in some of the delves with several rooms to navigate. Blessed doesn’t actually cleanse a cursed troop and it really could use an in-game tool tip. To give a logical test, have Essence of Evil hit one of your troops. Once you bless it, the curse is canceled but all other status effects are still on. With that troop, Cleanse removes everything, and then Bless protects it from future effects. do you have the numbers regarding resources to get horde to 200? You can mess around in my excel file in that thread. It only got 9 upgrade, but starting point is customizable with leftover exp, so you can stack it untill Level 1K. You can plan how to spending your resource that way. Yikes. That’s expensive. Bearing in mind how many factions there will be, getting all pets maxed is likely to be horrifically expensive, esp when factions have lots of rooms such as Warrens and thus the horde will need to be very high indeed. It’s too much by far. I will abandon any ideas beyond a single level 500 faction team triumph. Just gonna try and build up a stash for now and wait until a decent faction team is introduced; then spend accordingly. I haven’t got the required treasures in numbers anyhow. At this point, you might be happier waiting for their promised solution to make faction team delve fights easier. I’m hesitant to believe it? so I’m going to keep playing from what I can see until that time comes and they prove me wrong. Hopefully. If you trust your skill, people have done Primal Rift and Crypt Keepers at Hoard level 100. Is it a shared set of fluff or unique to each delve? I might consider buying it as a one time investement, I can’t see myself buying it for all the delves I’ve already brought to level 500. I’m already struggling with playing the free sigils we get on Delve Tuesday, there’s just so many things you can do on one evening.